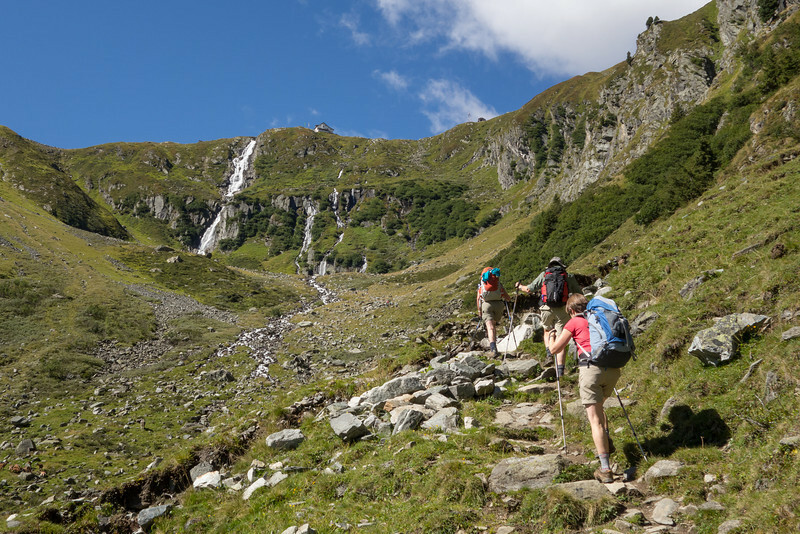 The Stubai and the Zillertal High Routes are two roughly circular walks in the ranges of the same names, SW and SE respectively of the Austrian city of Innsbruck and just N of the Italian border. They normally require 7-9 days each to complete. You'd think these huts would get more business if they put them closer to the road . . .